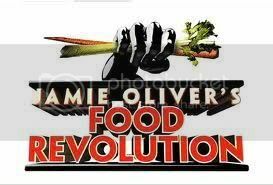 I absolutely loved the first season of Jamie Oliver’s Food Revolution! It is about time that people realized that what we are eating is killing us and I hope that this paves the way for big changes. But I feel like we have been waiting forever for Season 2 and I was even getting worried that the show was done. Thankfully, it is finally back! In the first season, Jamie spent time working with a school district to try and get more wholesome foods into the cafeterias. He was met with boxes upon boxes of processed foods, tight budgets and down right stubbornness which created quite the challenge. He never gave up though and by the time he was done I think he made some real progress. I hope they will show us how those schools are doing now and if they kept up with the healthy meals. 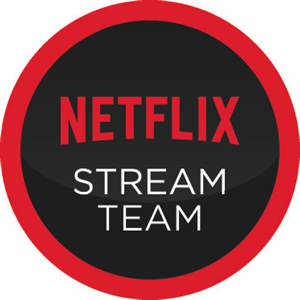 If you missed Season 1, you can catch up on Hulu. "Jamie is still asking questions about the quality of school meals, and asks LA’s parents for support to challenge the LAUSD to do better. He cooks with LA teens and uses a science class to get them thinking about what’s in their food. They tell him they’re scared for their families – they’re sadly at risk of obesity, diabetes and heart disease because of the processed food they’re eating. He also dips into the powerful world of fast food and industrial ingredients." They have also put together a new website, www.jamiesfoodrevolution.com, with lots of great tools for you to become a part of the revolution! You can sign Jamie's petition, search for healthy recipes, and download toolkits to get the revolution started in your own community. By the way, Jamie and I have a history. See back in March, through his site I submitted a letter to Congress about changing what our kids eat and then I tweeted about it. Jamie then retweeted my tweet! We are BFFs now, I tell you! (Shush, I know it was a member of his staff). Seriously though, I am really looking forward to this season. After watching Jamie be able to change the minds of the food service staff at those schools, I'm anxious to see what he can accomplish this time around. I am so hopeful that people will watch this show and become more educated about what we are eating and start to demand higher standards. While I am by no means perfect nor am I a great cook, it saddens me to see how much processed food people consume. Lets get our children eating fresh, whole foods and kick that other crap to the curb. Season 2 of Jamie Oliver's Food Revolution premieres this Tuesday, April 12 8/7c on ABC. I hope you watch it! I love what he is trying to do. Our kids need healthy food in their schools. Love his presence. I missed seaon 1 so I'll have to catch this one!